The field of Criminal Justice is a broad profession which encompasses law enforcement, the judiciary, and corrections. Working in the area of Criminal Justice equips you with the knowledge to tactfully investigate crimes and work in areas where you can assist in rehabilitating those who have been incarcerated and need help reintroducing themselves into society. Where Can I Find a Good Criminal Justice Program? Finding a good collegiate program offering such training is key. With so many schools in the South Florida area, it might be a little overwhelming trying to decide which school is the best one for you. 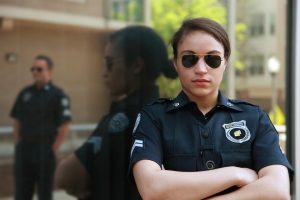 In addition to the academic curriculum, there are other factors that you will need to consider when choosing your Criminal Justice degree program. For instance, distance plays a key role in how you’ll be able to manage your academic studies. If you live in the South Florida area, you’re already familiar with how much time commuting can take, especially if your school or job is in one city, and you live in another. For those who are managing busy schedules, time is of the essence. Time spent commuting can be time spent toward studying, and when it comes to studying for a college exam, every minute counts! The cost of living in South Florida can be expensive. So, the closer you are to your school, the better. That is why some colleges and universities might provide dorms, but it’s going to be at a cost. Oftentimes, it might be cheaper to live off campus. So how can you save money on a college education by living off campus in South Florida while completing your degree in Criminal Justice? The answer is simple. All you have to do is find an accredited Criminal Justice program that provides you with the flexibility to take courses on your own time. Yet, for some prospective students, it might not be so simple. It is imperative that you allow yourself enough time to not only search for the right Criminal Justice program, but also the right college or university. For some students these two don’t always align properly. You might find the perfect Criminal Justice program, but the school may not be the right fit. Likewise, you may have fallen in love with the school, but its academic curriculum might not offer the program you want. Even if they do offer what you want, it’s possible that the location might not be right for you. There are so many options to weigh when it comes to finding the right education in Criminal Justice. The best thing you can do in order to ensure that you’ve made the right decision is to equip yourself with as much information as possible. And the sooner, the better! What are the top three things you need to consider when looking for the right Criminal Justice degree program? Location – If you live in the South Florida area, and you’re looking to go to school for a degree in Criminal Justice, chances are you might want to find a school that is close in proximity. As aforementioned, time is especially precious for a college student. So anything that can be done to dedicate more time to academic studies might be considered a wise choice. Accreditation – While some colleges and universities might have a significantly low tuition rate, you need to ask yourself why? Chances are, they may not be accredited. If you’re not careful, you might even find yourself paying high tuition costs to a school that’s not even accredited. You owe it to yourself to ensure that your hard-earned money is getting invested into the best education possible. Unfortunately, enrolling in a non-accredited institution might not be the best decision academically or financially. However, the ultimate choice is yours. Costs – Pursing a higher education degree costs. So whatever you can do to get some type of financial assistance is highly recommended. If you are able to fund your college career yourself, that’s great. However, very few students have been able to do this, which is why a great number of students opt for financial assistance. That is why Florida National University’s (FNU) Financial Aid Department helps students get the type of financial aid needed to earn their degree in Criminal Justice. In addition to federal financial aid, FNU offers scholarship opportunities and tuition incentives for government employees, military, student athletes, academic excellence, and corporate alliances. So if you’re interested in getting a degree in Criminal Justice and you’re already working in that field, contact your human resource department to see if your company has a tuition incentive plan with FNU. For detailed information about these three items, visit FNU’s webpage here. What Does it Mean to Have a Flexible Degree Program? Having a flexible degree program in Criminal Justice means that you have the freedom to take classes anytime of the day. The only way to do that is by enrolling in some of the online courses offered in this bachelor’s program. What might be better is if you can earn your entire Bachelor’s in Criminal Justice 100% online. With FNU, this is possible! You have the option to take some or all of the courses online. Again, the decision is completely up to you. Take a look at FNU’s Bachelor’s in Criminal Justice curriculum here. 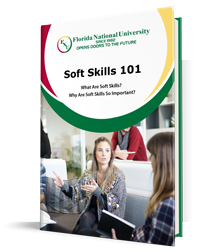 If you are interested in knowing what kind of jobs you can apply for with a Criminal Justice degree, read South Florida Career for Those with a Criminal Justice Degree here. Contact an FNU advisor for more information today.